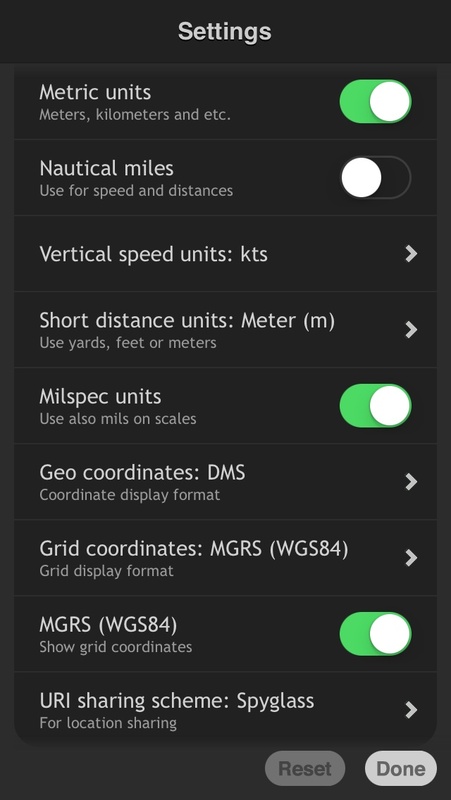 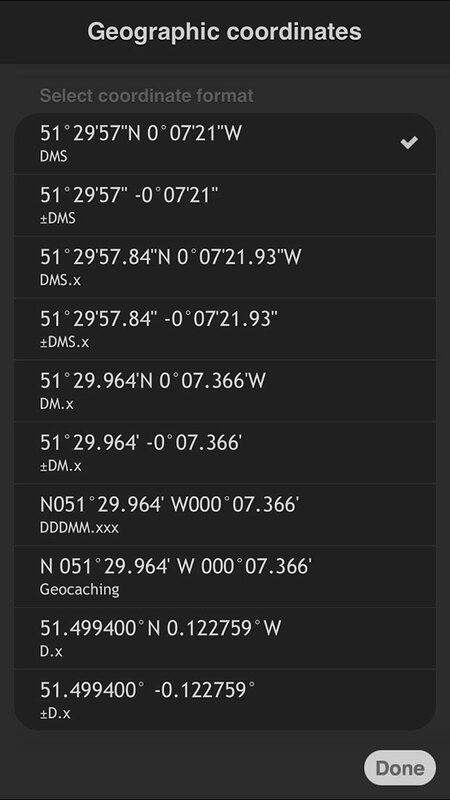 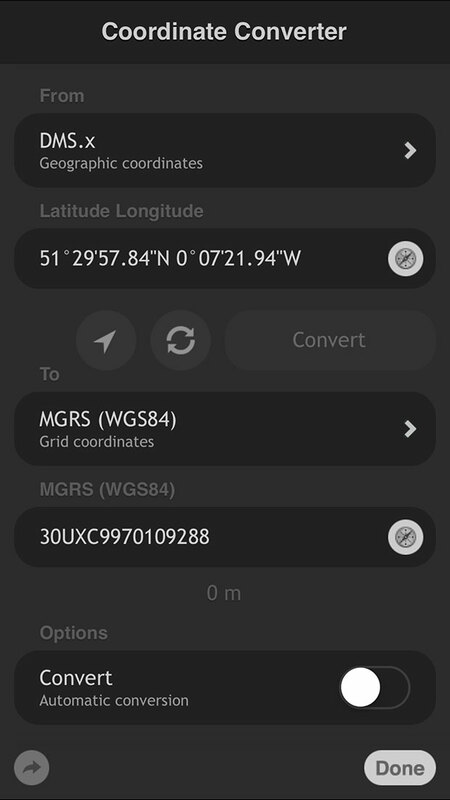 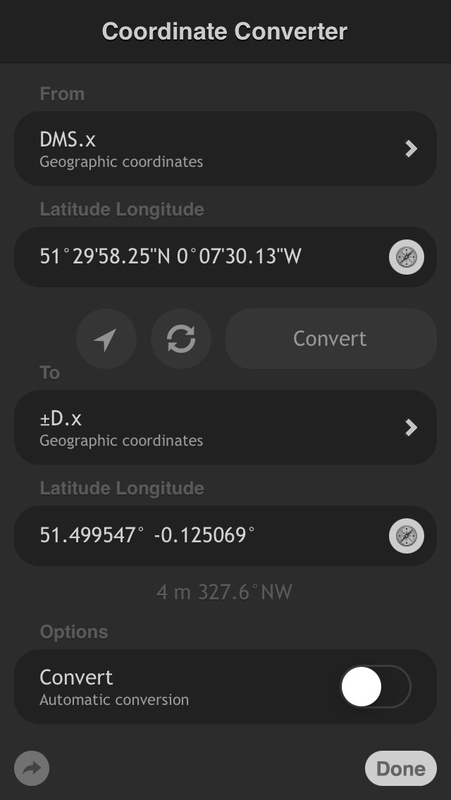 Screenshots in this and the following sections show only what's available in Commander Compass app. 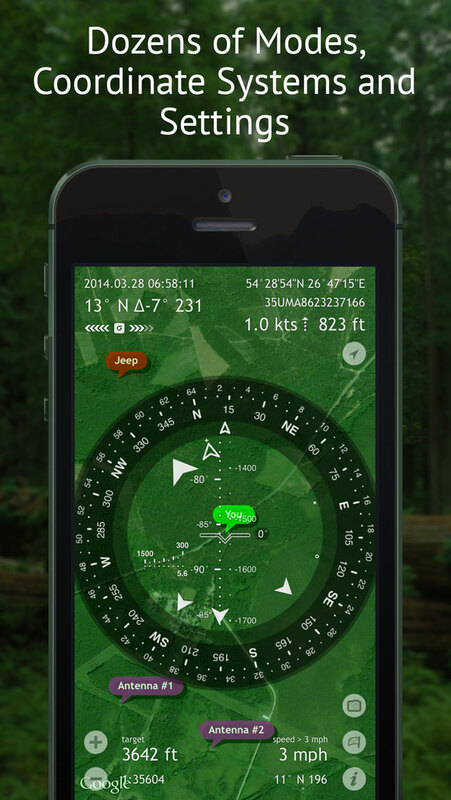 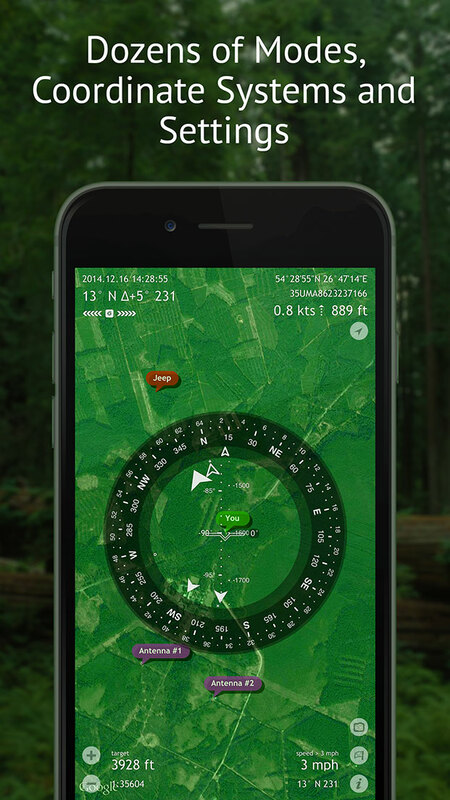 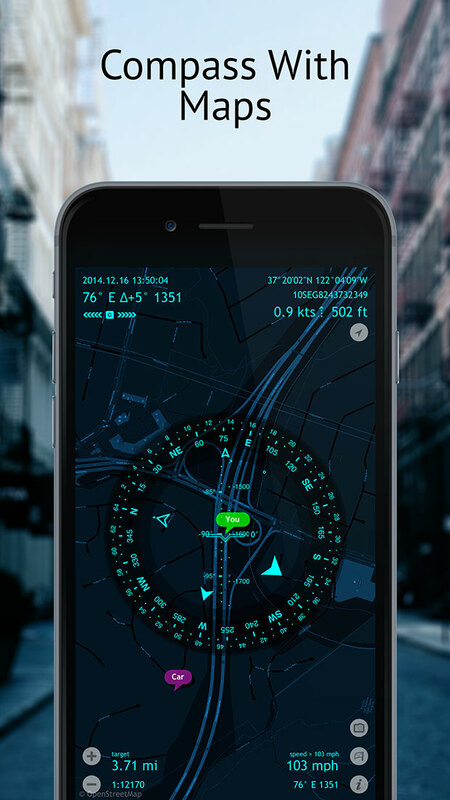 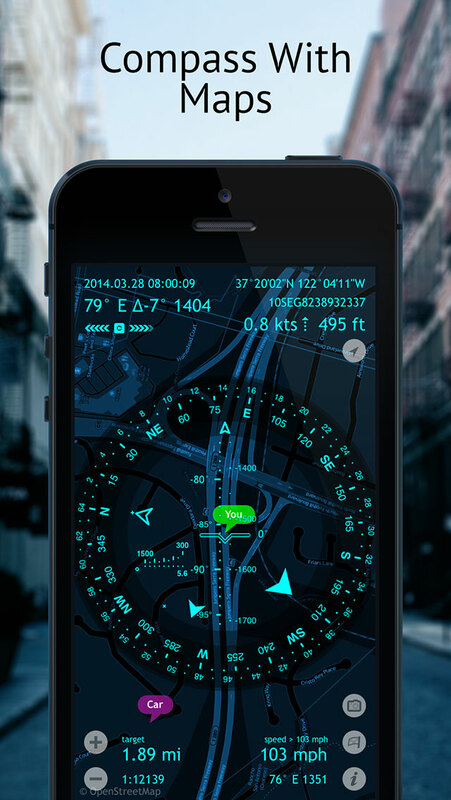 Screenshots in following sections are screenshots of the Spyglass app – the deluxe edition of Commander Compass app. 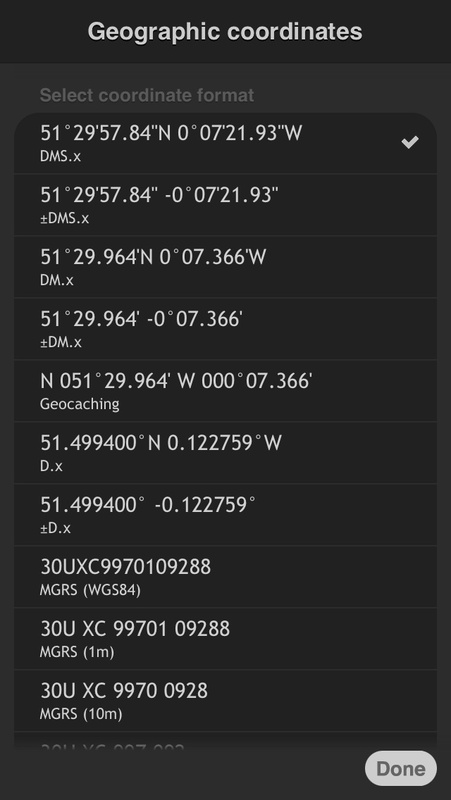 Have a look at them as well. 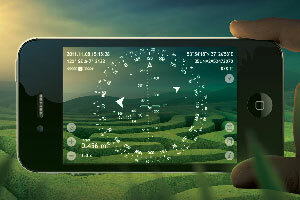 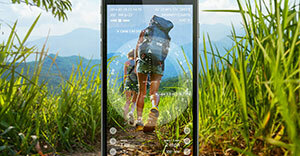 They show in which field the app can be used and demonstrate a few extra features available in Spyglass.